Discover the Selous Game Reserve’s rich variety of wildlife before uncovering Zanzibar’s equally diverse marine life on this eight-night itinerary. 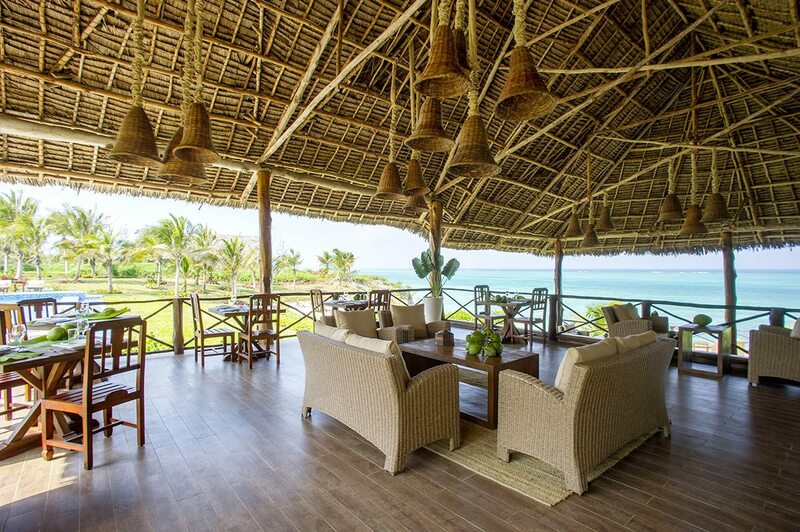 Your luxury Tanzania safari includes stays in a stone-and-thatch cottage and a private villa with plunge pool, with activities such as walking safaris, boat safaris, fly camping, watersports and dolphin spotting. 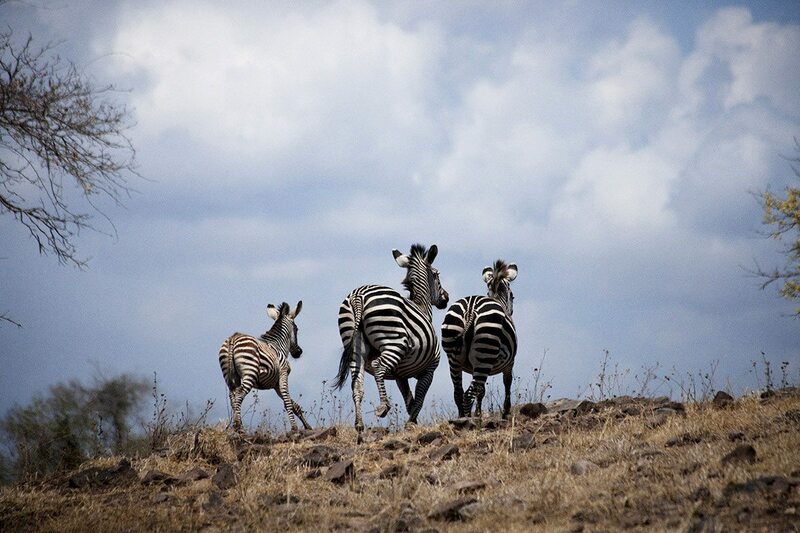 The chance to take in the pristine wilderness of Southern Tanzania as well as the island paradise of Zanzibar. Opportunities to roam the remote Selous on game drives, fly camp under the stars, explore the Rufiji River Delta by boat, scuba the vibrant coral reefs of Zanzibar, swim with dolphin in Zanzibar and watch the sunset from a dhow in Zanzibar. 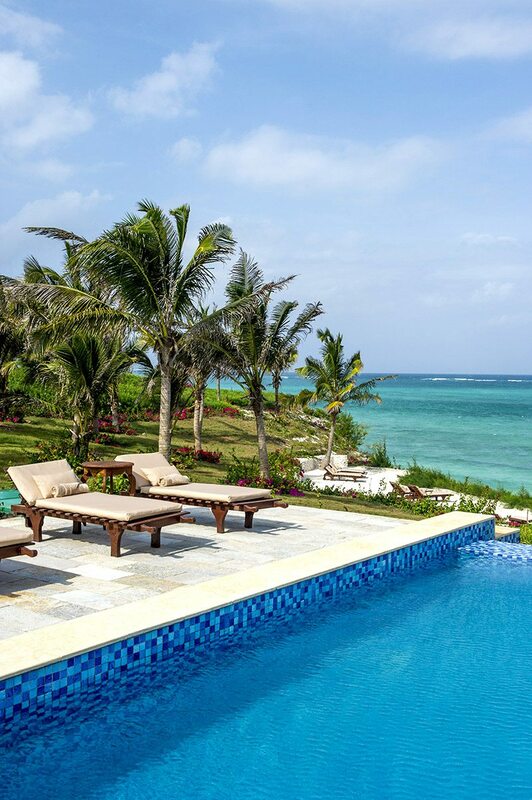 Stays in an open-fronted cottage and an elegant seaside villa with a private plunge pool. 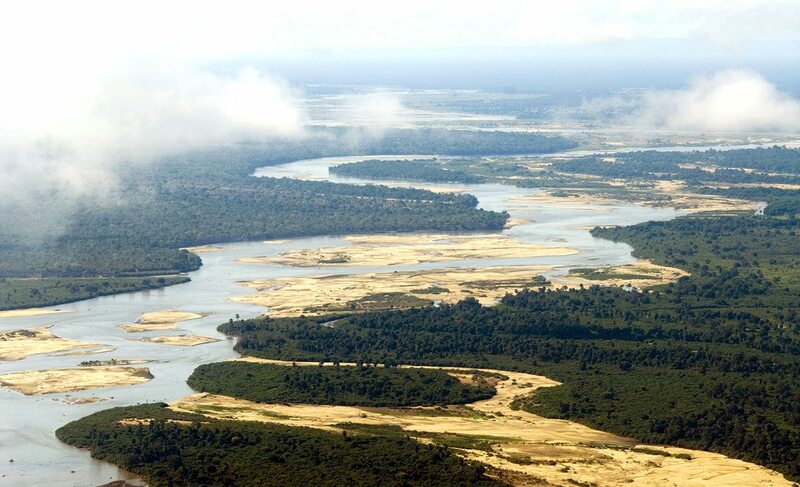 For more information see Sand Rivers Selous and Zawadi Hotel. A fun light-aircraft ride took us to the Selous for the start of our luxury Tanzania safari. After flying low to scare off some antelope, our pilot landed our plane nimbly on the dusty airstrip, impressing us with his skill. We were met by our guide, who drove us to Sand Rivers Selous: eight open-fronted stone-and-thatch cottages raised on decks overlooking a sweeping curve of the Rufiji River.We quickly unpacked in our cottage, eager to swim in our private plunge pool – the deciding factor in our choice of accommodation! 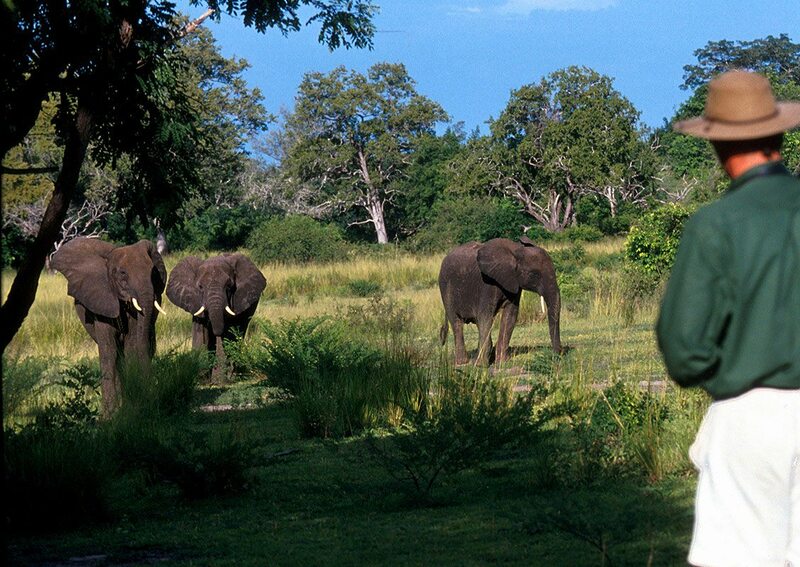 We gazed into the Selous Game Reserve, one of Africa’s biggest wildlife sanctuaries, for signs of its abundant game. Lunch was enjoyed on the verandah of the boma, overlooking the wide Rufiji River as it swirled and flowed around a pod of grunting hippo. The action continued on a boating safari, where we got closer to the hippo, as well as several crocodile and even lion cubs playing on the riverbank – which we told the other guests about after dinner.We woke up to the cry of a fish eagle and the sight of the gushing river before us. We lay quietly in our comfortable bed, taking in the views before rising with our morning coffee. 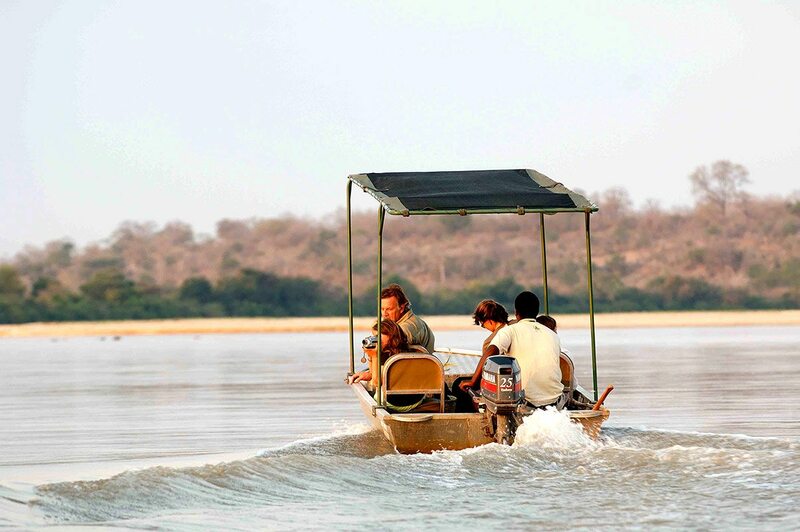 We left to explore the Rufiji River by boat just after dawn, finally reaching Stiegler’s Gorge. We displaced some crocodiles basking in the sun for a late brunch on the riverbank before swimming in the Maji Moto hot springs. We only returned back to camp for sundowners, and the promise of another delicious dinner that was fast becoming a recurrent theme on our luxury Tanzania safari.After a quick breakfast in the morning, we traded in our ‘sea legs’ for ‘bush legs’, going on a walking safari to fly camp in the wilderness. We walked through the Selous with our experienced guide, spotting a family of sleepy lion, countless giraffe and zebra and a herd of grazing elephant – from a safe distance of course! Then, on the shores of a beautiful lake, was our home for the night. After dinner and drinks around the campfire, we fell asleep to the bark of a hyena, feeling seriously adventurous under our spacious mosquito nets.The next morning we walked back to the lodge, thrilled to see even more wildlife en route. While my partner opted for a fishing trip, I lazed at the pool under the shade of the baobab tree as a troop of naughty monkey swooped in, only to be chased off by one of the staff. My partner came back in time for lunch, the proud bearer of a sizeable catfish. We took our time at the buffet before our afternoon game drive, where we spotted a leopard up a tree tearing away at a gazelle! That night we packed up our belongings, keen for the next part of our luxury Tanzania safari adventure. A fun light-aircraft ride took us to the Selous for the start of our luxury Tanzania safari. After flying low to scare off some antelope, our pilot landed our plane nimbly on the dusty airstrip, impressing us with his skill. 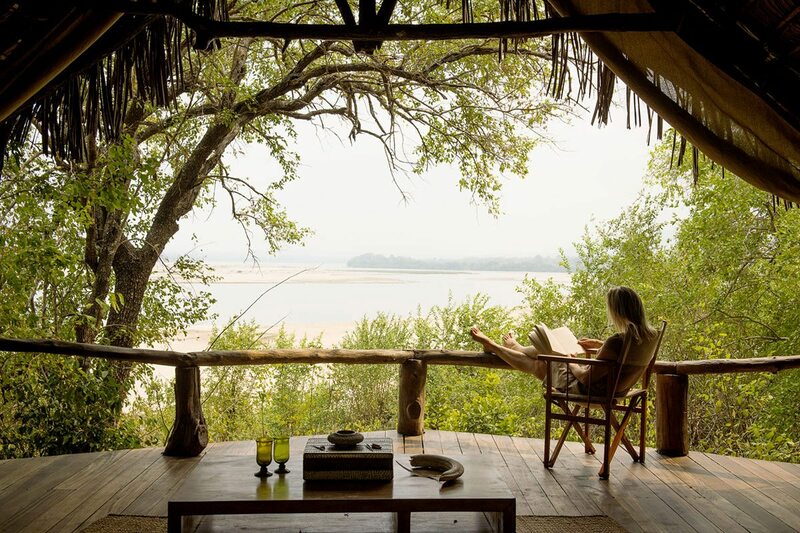 We were met by our guide, who drove us to Sand Rivers Selous: eight open-fronted stone-and-thatch cottages raised on decks overlooking a sweeping curve of the Rufiji River. We quickly unpacked in our cottage, eager to swim in our private plunge pool – the deciding factor in our choice of accommodation! 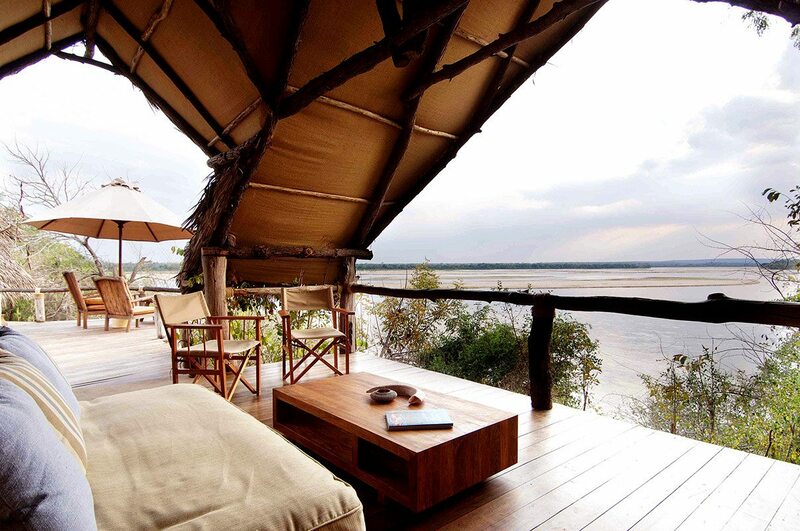 We gazed into the Selous Game Reserve, one of Africa’s biggest wildlife sanctuaries, for signs of its abundant game. Lunch was enjoyed on the verandah of the boma, overlooking the wide Rufiji River as it swirled and flowed around a pod of grunting hippo. The action continued on a boating safari, where we got closer to the hippo, as well as several crocodile and even lion cubs playing on the riverbank – which we told the other guests about after dinner. We woke up to the cry of a fish eagle and the sight of the gushing river before us. We lay quietly in our comfortable bed, taking in the views before rising with our morning coffee. 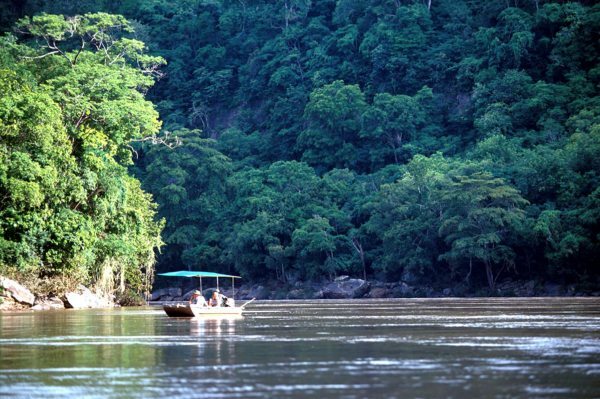 We left to explore the Rufiji River by boat just after dawn, finally reaching Stiegler’s Gorge. We displaced some crocodiles basking in the sun for a late brunch on the riverbank before swimming in the Maji Moto hot springs. We only returned back to camp for sundowners, and the promise of another delicious dinner that was fast becoming a recurrent theme on our luxury Tanzania safari. After a quick breakfast in the morning, we traded in our ‘sea legs’ for ‘bush legs’, going on a walking safari to fly camp in the wilderness. We walked through the Selous with our experienced guide, spotting a family of sleepy lion, countless giraffe and zebra and a herd of grazing elephant – from a safe distance of course! Then, on the shores of a beautiful lake, was our home for the night. After dinner and drinks around the campfire, we fell asleep to the bark of a hyena, feeling seriously adventurous under our spacious mosquito nets. The next morning we walked back to the lodge, thrilled to see even more wildlife en route. While my partner opted for a fishing trip, I lazed at the pool under the shade of the baobab tree as a troop of naughty monkey swooped in, only to be chased off by one of the staff. My partner came back in time for lunch, the proud bearer of a sizeable catfish. We took our time at the buffet before our afternoon game drive, where we spotted a leopard up a tree tearing away at a gazelle! That night we packed up our belongings, keen for the next part of our luxury Tanzania safari adventure. Another exciting light-aircraft flight got us across the land – and sea – to Zanzibar, where we were driven to the idyllic southeast coast for the beach leg of our luxury Tanzania safari.Zawadi Hotel consisted of nine spacious villas perched on top of a low coral cliff overlooking the Indian Ocean, framed by coconut palms and bougainvillea. We settled in quickly, keen to fit in at least one activity that day. Torn between a variety of watersports, we finally decided to kayak the still waters of the lagoon. With sunny weather and crystal-clear water, we spent several happy hours exploring, watching shoals of colourful fish swimming underneath us. Our perfect day ended with sundowners at the bar followed by a sumptuous seafood dinner.Instead of doing a Padi dive certification at the dive centre, we opted for a snorkelling trip, setting off with a packed lunch for a beach picnic. Our day was spent exploring and photographing the coral reefs dotted in the ocean’s depths, as well as the incredible underwater world of Mnemba Island. The afternoon was spent relaxing at our villa, where I read and my partner sorted out our rapidly burgeoning photo collection.We woke up to our morning tea tray, watching the sun rise over a postcard-perfect scene of traditional fishing dhows passing by. We set off to Stone Town after breakfast, quickly following our guide through the winding streets and alleyways as he told us about its history and culture. By contrast, our afternoon walk through lush Jozani Forest was peaceful and relaxed. We learnt about the medicinal plants, mammals, birds and reptiles of this wonderland before returning tired yet content after our action-packed day.We weren’t about to miss the chance to swim with wild dolphin, so we took a private boat tour to Raz Kizimkazi. We were deep in discussion about the well-being and preservation of Zanzibar’s marine life when we saw a fin jutting out of the water. Though our guide assured us it wasn’t a shark, we didn’t jump in until several dolphin were playfully swimming alongside our boat. After lunch back at the lodge, I enjoyed a long swim in the lagoon and a massage, while my partner went jogging. Too soon, it was time for dinner and a long soak in the tub before turning in.We woke to dawn light, enjoying our last moments in bed before another leisurely breakfast and our transfer to the airport, and home. 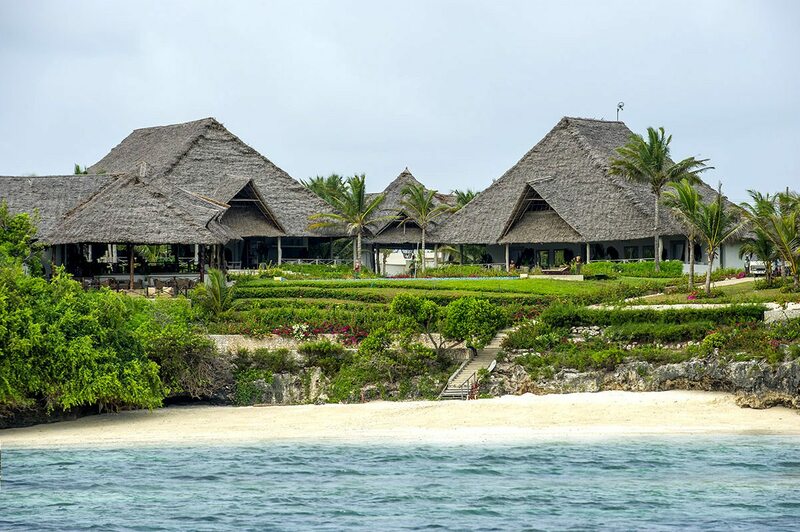 Another exciting light-aircraft flight got us across the land – and sea – to Zanzibar, where we were driven to the idyllic southeast coast for the beach leg of our luxury Tanzania safari. Zawadi Hotel consisted of nine spacious villas perched on top of a low coral cliff overlooking the Indian Ocean, framed by coconut palms and bougainvillea. We settled in quickly, keen to fit in at least one activity that day. Torn between a variety of watersports, we finally decided to kayak the still waters of the lagoon. With sunny weather and crystal-clear water, we spent several happy hours exploring, watching shoals of colourful fish swimming underneath us. Our perfect day ended with sundowners at the bar followed by a sumptuous seafood dinner. Instead of doing a Padi dive certification at the dive centre, we opted for a snorkelling trip, setting off with a packed lunch for a beach picnic. Our day was spent exploring and photographing the coral reefs dotted in the ocean’s depths, as well as the incredible underwater world of Mnemba Island. The afternoon was spent relaxing at our villa, where I read and my partner sorted out our rapidly burgeoning photo collection. We woke up to our morning tea tray, watching the sun rise over a postcard-perfect scene of traditional fishing dhows passing by. We set off to Stone Town after breakfast, quickly following our guide through the winding streets and alleyways as he told us about its history and culture. By contrast, our afternoon walk through lush Jozani Forest was peaceful and relaxed. We learnt about the medicinal plants, mammals, birds and reptiles of this wonderland before returning tired yet content after our action-packed day. We weren’t about to miss the chance to swim with wild dolphin, so we took a private boat tour to Raz Kizimkazi. We were deep in discussion about the well-being and preservation of Zanzibar’s marine life when we saw a fin jutting out of the water. Though our guide assured us it wasn’t a shark, we didn’t jump in until several dolphin were playfully swimming alongside our boat. After lunch back at the lodge, I enjoyed a long swim in the lagoon and a massage, while my partner went jogging. Too soon, it was time for dinner and a long soak in the tub before turning in. We woke to dawn light, enjoying our last moments in bed before another leisurely breakfast and our transfer to the airport, and home. I loved the contrast between the open spaces of the Selous Game Reserve, in all its pristine wilderness, and the island paradise of Zanzibar, with its swaying palms, white sands and warm waters.This luxury Tanzania safari was everything we’d wished for – we saw abundant wildlife in their natural habitat on walking, vehicle and boat safaris, and explored the tropical waters of Zanzibar on dolphin and snorkelling tours. All this, while learning incredible details about the flora and fauna that inhabit Tanzania’s land and sea. We also got out of our comfort zone with a fly-camping trip, met more crocodile than I could count, explored the cultural heart of Zanzibar and ventured into a tropical rainforest.Our luxury Tanzania safari wasn’t all just action and adventure of course. We took the time to relax and enjoy slowly sipping coffee on our verandah, lazing at the pool or by the ocean, indulging in massages and long soaks in the tub, and simply enjoying the sensation of being spoilt by the friendly and attentive staff at both of these luxury safari lodges.Our trip came imbued with romance – at Sand Rivers Selous we watched falling stars, enjoyed dining in the wild, and held each other close each night as we slept in a luxurious bed open to the wilderness before us. With a private villa and plunge pool, in-room massages, beachside lunches and candlelit dinners, Zawadi Hotel also offered no shortage of intimate moments. We simply couldn’t have asked for a more special time. I loved the contrast between the open spaces of the Selous Game Reserve, in all its pristine wilderness, and the island paradise of Zanzibar, with its swaying palms, white sands and warm waters. This luxury Tanzania safari was everything we’d wished for – we saw abundant wildlife in their natural habitat on walking, vehicle and boat safaris, and explored the tropical waters of Zanzibar on dolphin and snorkelling tours. All this, while learning incredible details about the flora and fauna that inhabit Tanzania’s land and sea. We also got out of our comfort zone with a fly-camping trip, met more crocodile than I could count, explored the cultural heart of Zanzibar and ventured into a tropical rainforest. Our luxury Tanzania safari wasn’t all just action and adventure of course. We took the time to relax and enjoy slowly sipping coffee on our verandah, lazing at the pool or by the ocean, indulging in massages and long soaks in the tub, and simply enjoying the sensation of being spoilt by the friendly and attentive staff at both of these luxury safari lodges. Our trip came imbued with romance – at Sand Rivers Selous we watched falling stars, enjoyed dining in the wild, and held each other close each night as we slept in a luxurious bed open to the wilderness before us. 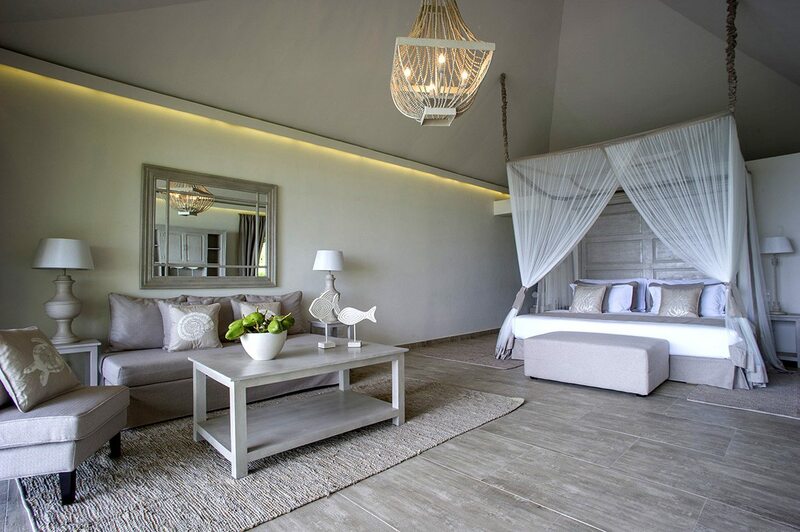 With a private villa and plunge pool, in-room massages, beachside lunches and candlelit dinners, Zawadi Hotel also offered no shortage of intimate moments. We simply couldn’t have asked for a more special time. 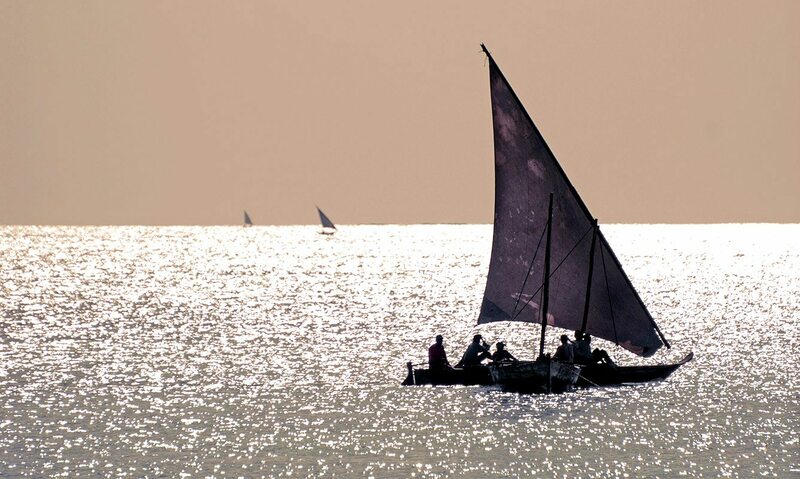 The waters of Zanzibar are dotted with dhows. You’ll be met as you disembark from your international flight at Kilimanjaro International Airport in Arusha, and assisted through customs and immigration. Following a private transfer to Arusha Airport, you’ll take a scheduled light aircraft flight to Dar es Salaam, then another scheduled light aircraft flight to the Selous. 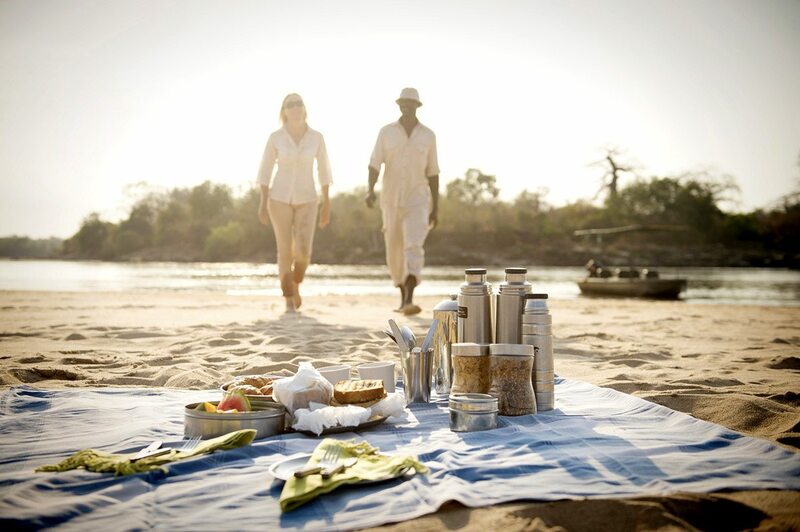 A transfer will take you to Sand Rivers Selous, where you’ll spend four nights. Following a transfer from Sand Rivers Selous to the airstrip, you’ll take a scheduled light aircraft flight to Zanzibar. A transfer will take you to Zawadi Hotel, where you’ll spend four nights. Following a transfer from Zawadi Hotel to the airport, you’ll take a scheduled light aircraft flight to Kilimanjaro International Airport in Arusha, where you’ll be assisted through check-in for your international flight. We also offer a curated selection of Tanzania safari packages, wrapped and priced for your convenience, click here to explore them. Surrounded by swaying coconut palms and colourful bougainvillea, Zawadi Hotel is perched on a cliff overlooking the Indian Ocean. 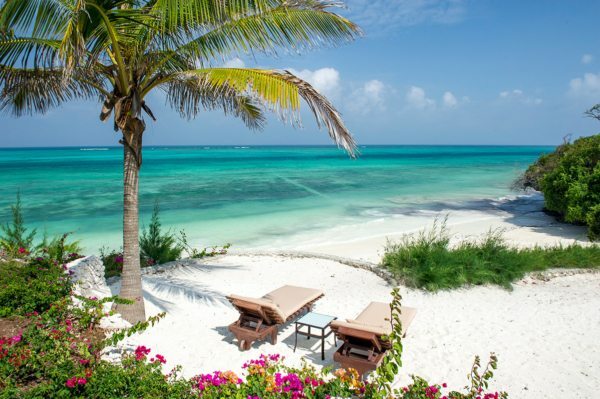 With six elegant villas, an open-sided beach restaurant and bar and a pristine beach and lagoon, you can relax and explore Zanzibar by land and sea. 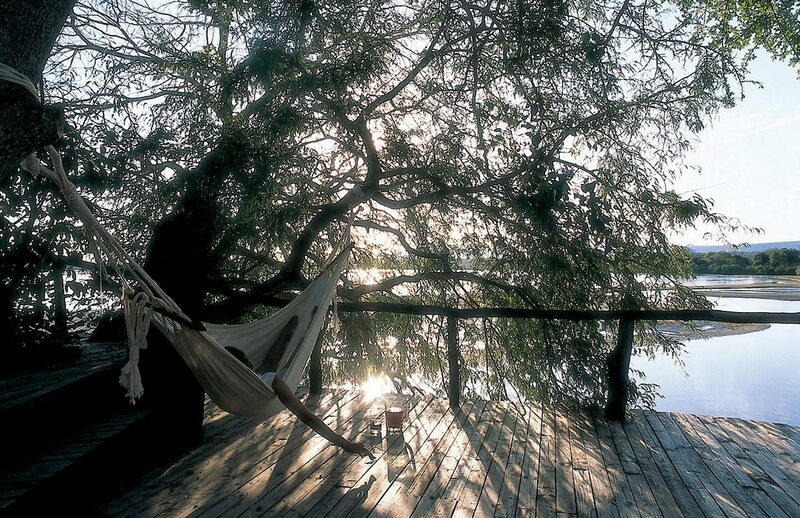 Tuck your toes into the sand, watch the sun set over the water, listen to hippo splash or go on exciting game drives before the sky lights up with stars at Sand Rivers Selous – eight open-fronted cottages on the edge of the Rufiji River in Tanzania’s Selous Game Reserve. 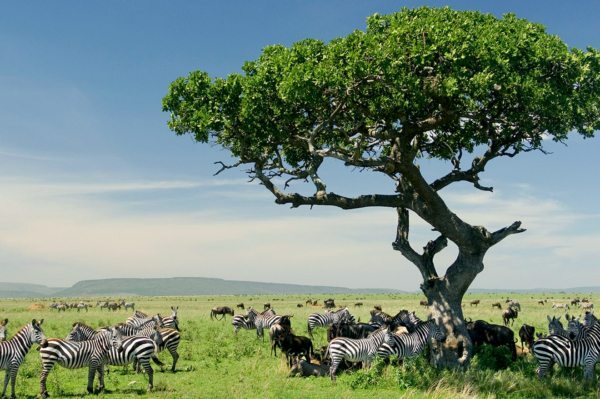 This luxury Tanzania safari is a journey in many senses: from witnessing wildebeest calves in the Serengeti begin their own voyage, to journeying into the Earth at the Ngorongoro Crater, back in time at Olduvai Gorge, or off the map in Ruaha National Park. Every day is truly an exploration.